Removable "Endo Cube" for measuring and disinfecting files. 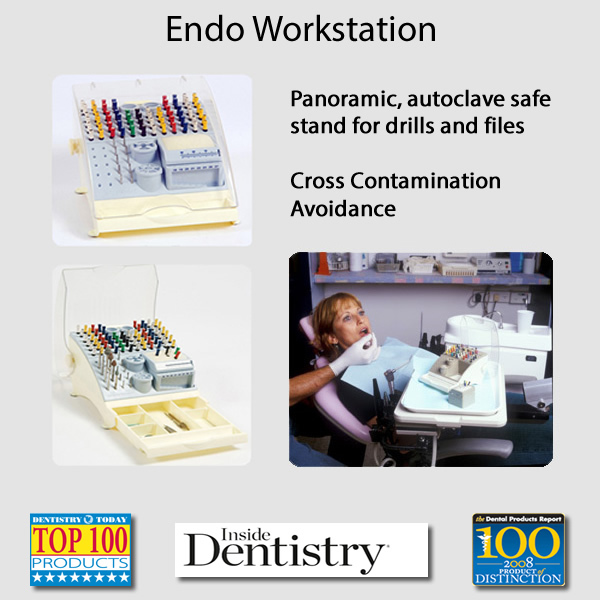 Both the tool tray and the "Endo Cube" are suitable for sterilization in the autoclave. In addition, there are designated reservoirs for disinfectant fluids and cotton pellets.